Easy Ways to Support the EEHSP When You Shop! 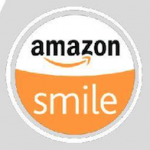 Amazon Smile – When you shop Amazon, shop on the Amazon Smile site and they will donate .5% of your purchases to the EEHSP! Box Tops for Education – Clip Box Tops off participating products and return to school. Each valid box top is worth 10 cents! Giant A+ Rewards – Just follow the directions to link our schools to your Giant Bonus Card and our schools earn money! Click on the links above for more information, and thank you for your support!